If you’re like me, then you use a lot of styling products on your curls almost daily. 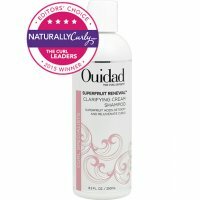 This buildup of product on top of product can leave your curls looking limp and lifeless. The only way to remove the buildup is to clarify your hair by using a clarifying shampoo. If you notice that your hair is no longer responding to your favorite products, it’s time to clean your scalp and hair with a clarifying shampoo. It will improve the health of your hair, plus restore the effectiveness of your regular shampoo and conditioner. You can look at it as starting fresh. It gives us a fresh start to style our curls without old product buildup. However, our curls can feel dry after clarifying. This is due to the low pH found in most clarifying shampoos. You may remember learning about pH in science class. The literal meaning of pH is potential of Hydrogen. This means that there is a certain amount of hydrogen that occurs in a solution. This unit of measurement can tell whether or not certain types of solutions, such as shampoos and soaps, are acidic or alkaline. When measuring pH a scale of 1 through 14 is used. 7 is a neutral pH or a basic pH. This means that the solution is most like water. 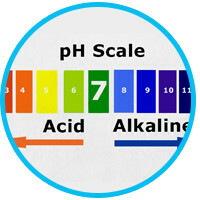 1 to 6 on the scale means that the solution is acidic, like vinegar while numbers 8 through 14 mean that the pH of the solution is alkaline, like bleach or ammonia. Your hair consists of tiny shafts which are made up of scales, called cuticles. Water and alkaline-based hair products cause these scales to open, exposing the interior of your hair shafts. Ideally, you want to close this cuticle to protect it from harmful elements. To do this you’d want to choose a slightly acidic shampoo to close the cuticle and help the hair shaft retain moisture. The best pH level for shampoo is between 5 and 7. Clarifying shampoos remove dirt oil and buildup from the hair but since they can be very drying you need to follow-up with a moisturizing shampoo in order to return moisture to your hair. Using both a clarifying and moisturizing shampoo can help cleanse your scalp and keep your curls hydrated and shiny. You can shampoo your hair once or twice depending on your preference, follow-up with a moisturizing shampoo, and proceed with your usual conditioning or deep conditioning session. Using the moisturizing shampoo afterwards can also make detangling easier since your curls have received some moisture at that point. 5 Mistakes You Might Be Making With Your Natural Hair And Don’t Even Know It! We all have different sleep habits but when it comes to your curly hair night time regime, there are some important things to remember in order to avoid damaging your locks. To make the most of your 8 hours of sleep, and do your best to avoid these 5 natural hair don’ts! 1. Going to bed with your hair loose! DON’T go to bed with your hair completely out without braids, twists, a bun, or a satin bonnet. I understand there will be times when this can slide just like with removing your makeup but it’s better for your hair to get it night time ready. We put on night clothes to go to bed right? Put your hair to bed as well. Sleeping with your hair entirely loose leaves your hair very prone to friction, breakage and tangles. 2. Going to bed with loose ends!! This one I am guilty of doing 90% of the time. I use the pineapple method at night but I leave my ends out. This is NOT a good idea. Whether you pineapple or do a bun tuck those ends!! This will help avoid split ends and prevent further damage to already damaged, brittle, or dry hair. 3. Sleeping on a cotton pillow case! Never sleep with your hair touching your cotton pillow or sheets. Cotton quickly absorbs moisture and creates friction, leaving your natural hair not only dry, but frizzy. Instead, cover your hair with a silk bonnet or cover your pillow with a satin pillow case. 4. 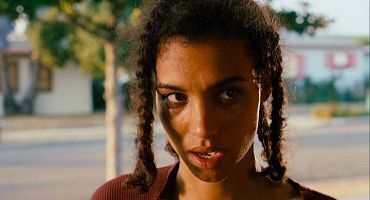 Say bye bye to your nightly Felicia braids! DON’T feel the need to do up your hair with highly manipulative styles every night. Think braids and twists. Of course it’s a good thing to twist up your hair at night to avoid tangles and make morning styling way easier but remember to be gentle. No elastic bands EVER. Not on your ends or anywhere on your hair. Try to use satin scrunchies but if that is not possible then use fabric bands. The rubber from the elastic bands get caught in your hair causing breakage. 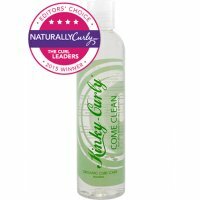 What is your night time curly hair routine? Could You Be Deep Conditioning Your Natural Hair Too Long? Well today I returned to work after a 2 month break. I am a teacher and although I love what I do, I love blogging even more. Not to worry, I WILL manage some how some way to juggle both so I am not going anywhere. I may post a little later than but I will still post. I just wanted you all to know what was going on with me because even though I only see pictures of some and many I have never seen I feel a connection with each and every one of you and I hope that you feel the same. Increasing the time you leave conditioner on hair allows more of it to adsorb with a maximum adsorption at 20- 30 minutes. When conditioner is heated to 35°C, at 10 minutes there is slightly more than 5% on hair and at 30 minutes there is slightly more than 10%. Therefore temperature increases adsorption. The rule however remains the same in terms of no further conditioner sticking to the surface after 30 minutes. long conditioning time causes a change in the keratin that results in softening and weakening so don’t deep condition overnight or for hours on end. The obvious exception to this rule is treatments like henna, that require hours to take to the hair. 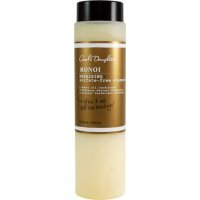 But for your everyday run-of-the-mill deep conditioner, it should begin to work instantly, and reach maximum capacity at around the 20 or 30 minute mark. If your deep conditioner doesn’t work after 30 minutes, it’s time to ditch it for one that’s more effective. So how should you use deep conditioner? Don’t use your deep conditioner to co-wash or as a leave-in conditioner. Deep conditioners are specially formulated to be effective at what they do which is to provide intense conditioning to the hair. 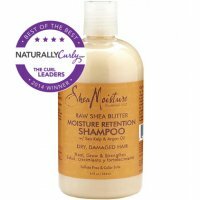 Deep conditioners tend to contain higher concentrations of cationic surfactants (their primary function is to stick to the hair), and will likely lead to even more buildup if used as a co-wash or leave-in. Remember that conditioners have a shelf life so you may want to store them in the fridge. Don’t be fooled by the miracle conditioners that promise full bouncy curls after one application. 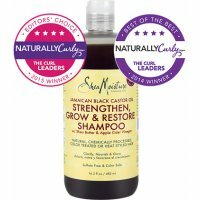 Most deep conditioners have the same base ingredients and when looking at the label of your conditioner focus only on the first 6 ingredients because this is where the true benefits will be listed. How long do you deep condition your hair?